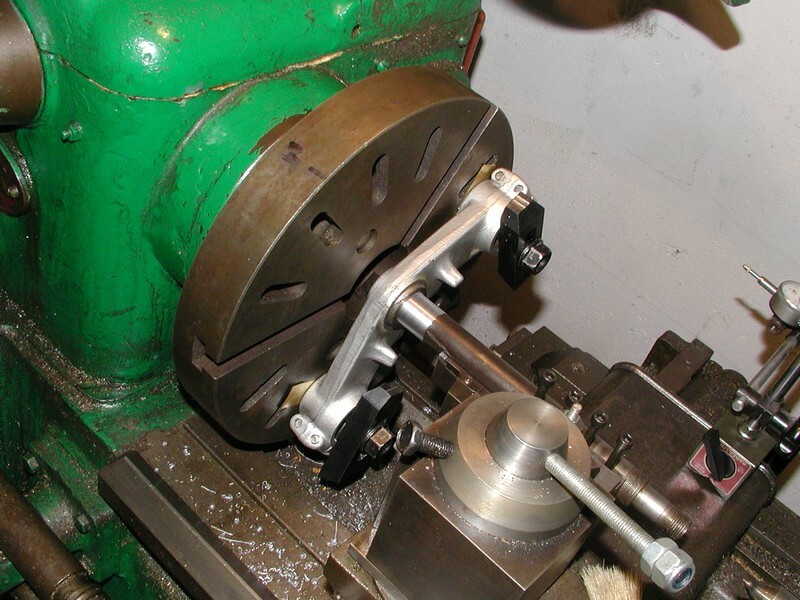 I'd been asked to turn down a motorbike triple tree (aka triple clamp or yoke), so a supplied bearing would fit on it. After much head-scratching, it was determined that a faceplate would be the most obvious option. Small, slow cuts were the order of the day. I gradually whittled down the main diameter until the bearing was an easy slide fit down the majority of the tube; the goal was to make the last 20mm (the width of the bearing) a reasonably tight push-fit. In the event, I got it down to that level, but the final cut just ended up a touch over; so whilst the bearing sat nicely, it didn't grip properly. A smear of Loctite was therefore employed to keep the bearing in place. Normally, of course, it'll be squashed up against the cup with a hefty bolt, so in theory the loctite is unnecessary. I did get a little chattering on the final cuts, hence the slightly sub-standard surface finish; but this'll all be hidden away in a tube anyway, so it's no big deal. Some are welded, some are press and some are even screwed in. I am using a set of Ducati triples on a Honda. 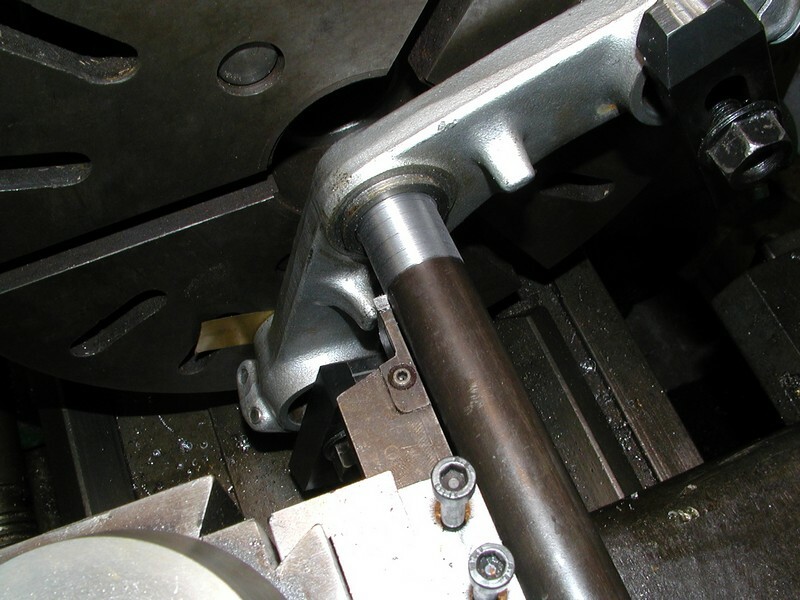 Those have a screw in stem so it was just a matter of machining a new stem to fit the Honda neck and bearings. It does look like Ali, you're right; but I'm pretty sure it must be galvanised steel because it's too heavy for Ali. Probable material is steel, with silver paint finish. Norton Commandos had steel (malleable I think but I'm not sure) yokes, which replaced the very expensive cast ones used on a featherbed frame. 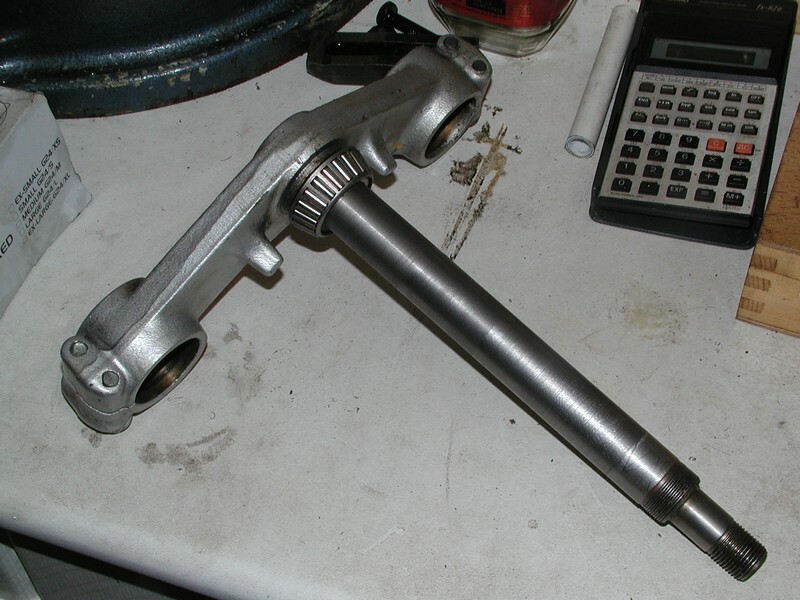 Anyway, the "old" way was to braze the steering head stem into the yoke, the "new" way suggested by the man from Loctite was to use......ummmm.....Loctite. There was a lot of tooth sucking from the elders, so a test piece, or pieces were made. The only way to get the stem out of the yoke after Loctiting was with a very big press, and some of the parent material from the yoke was still attached to the stem! !